As Traveling Mickey noted last week, the family went on a vacation a 7 day cruise with Carnival Cruise Lines. It was a grand vacation, one that was sorely needed by this person and definitely recharged the batteries. We traveled out of Long Beach California on the the Carnival Splendor. Before getting into the trip let's talk about the ship itself. The ship had a problem several years ago with it's power system, but it has since been repaired and is now running very well. 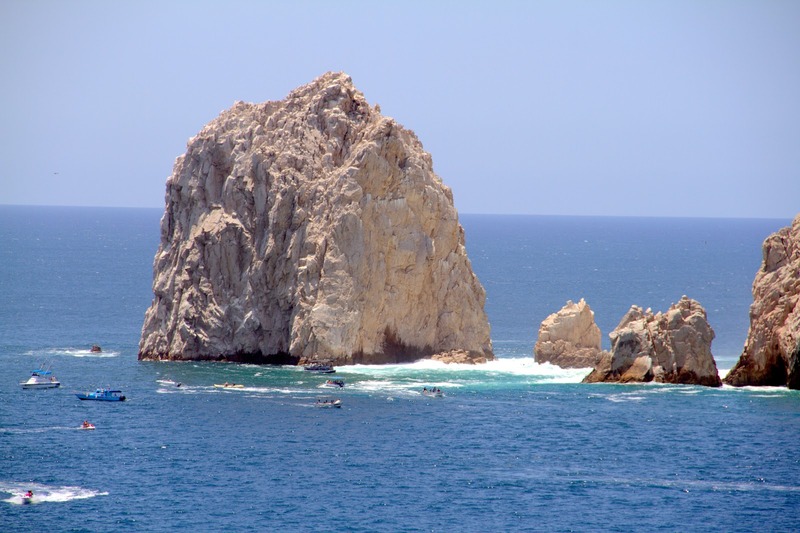 One thing we did notice is that Mazatlan, Mexico is no longer on the stop list. This is probably for the same reason that there was an increased security at the Puerta Vallarta port... increased violence in Mexico. Fortunately the cruise line is taking a great deal of effort secure their equipment and even more importantly their guests. Based on what we saw, they are doing a great game protecting both. 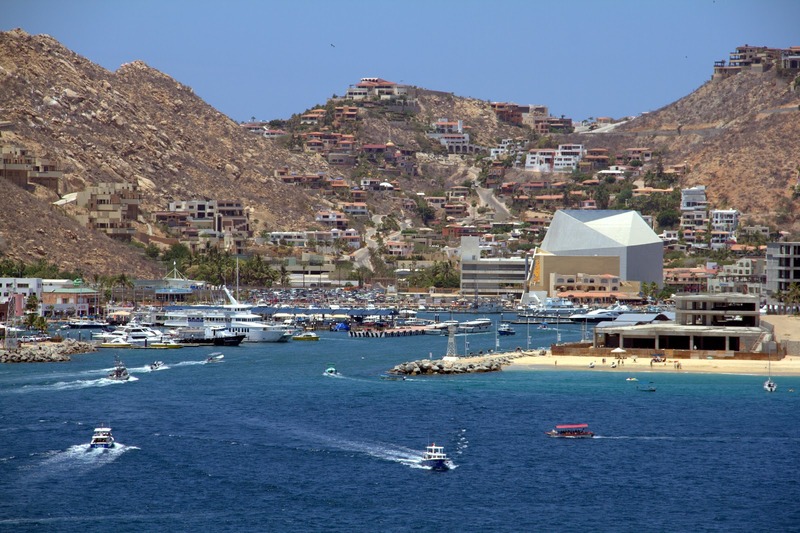 The first stop was Cabo San Lucas, a port city on the tip of the Baja California, that has been around for a very long time. 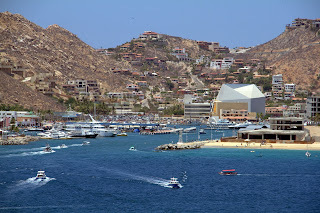 The port is actually smaller enough that we had to tender (think of it like a water taxi) from the ship to the marina. As you can see the port is very beautiful. As is with most tourist ports I have encountered there were a large number of vendors gathered at the port constantly trying to get you to stop and buy their wares or take their trip. One was unique enough that we actually stopped to hear his spiel. His line was "can I just talk to you for only a Mexican minute?" That worked out to about 5 minutes. We didn't buy from him but we did get a good laugh with that line. 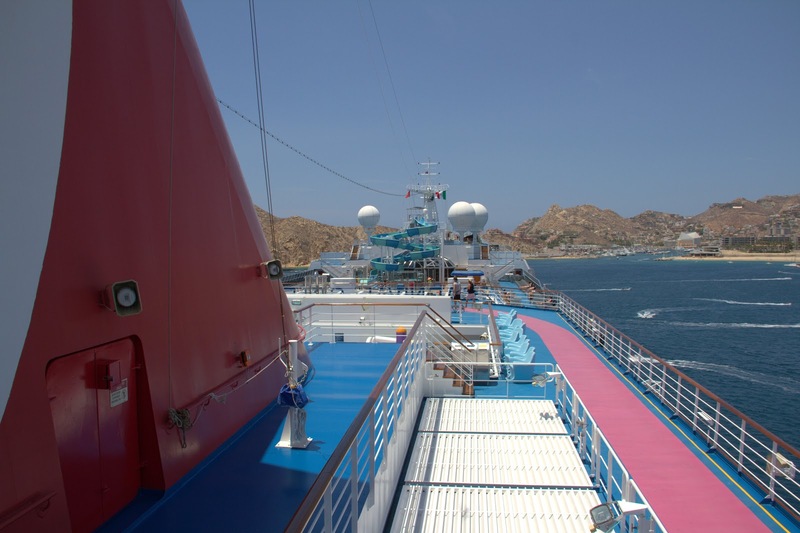 A great majority of the excursions from the ship involved water. Glass bottom boats seemed to be the biggest draw both on the excursions and in the marina. There are even boats shaped like submarines that allow you to sit below deck and look out into the water. Along with the underwater viewing there are also a lot of above water activities. 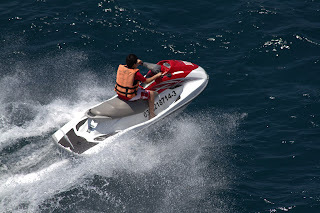 The out bay of the port is literally criss-crossed constantly with jet-skis and other pleasure craft, and even further out are the parasailers floating on the wind 200 feet above the water. For those with less desire to be athletic and instead admire the view there is plenty of wonderful views. The port is a bay and one side is actually a long out cropping of rock surrounded by the ocean and very popular with the divers and glass bottom boats. A wonderful place to visit and we spent two days there. Next time I will give you a little on one of the most famous night clubs there.